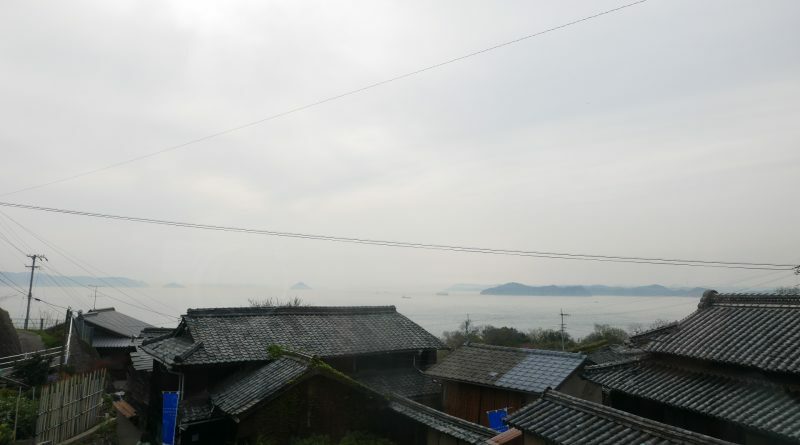 Just like every person has a different personality, every island in the Seto Inland Sea has its own unique culture and atmosphere. Ogi Island is less than 40 minutes from Takamatsu port by “Meon” ferry. 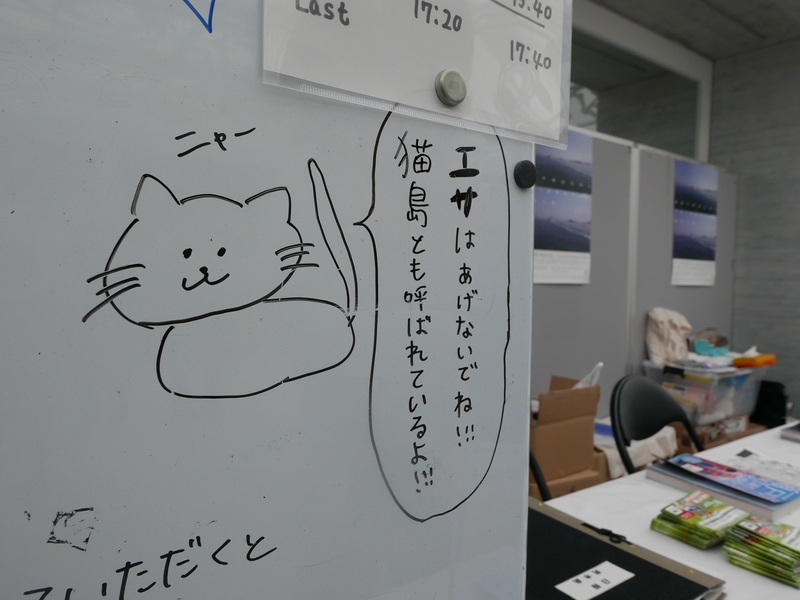 This island is not internationally famous, unlike Nao Island or Shōdo Island, and it doesn’t have large population or land area either. But its charm and simplicity of the island attract many people. While you look for art works on narrow streets, you will hear the clatter of dishes coming from inside the houses and get a warm greeting from friendly locals. 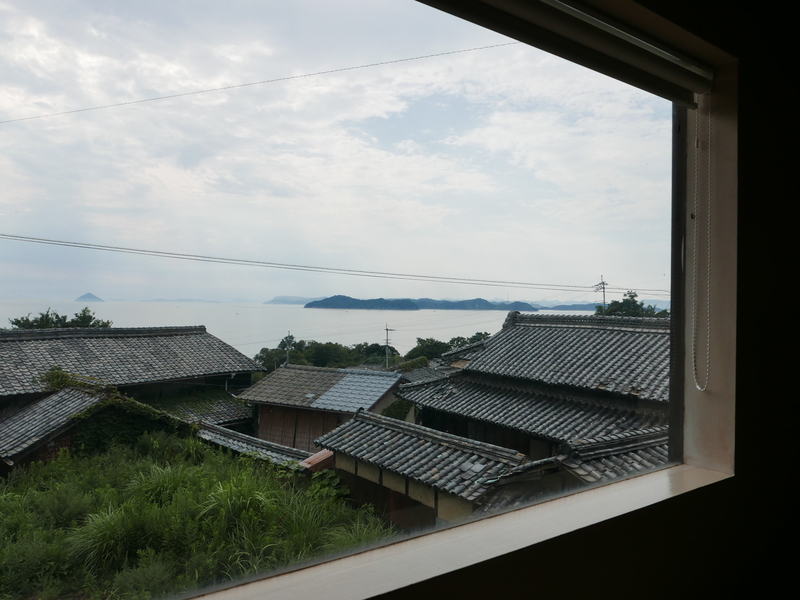 With each step you take up the slope, you will see a different side of the Seto Inland Sea. Keep your eyes peeled, because true beauty of this island is in the small details. Most of the artwork is in the centre of Ogi island and around the port. The best way to enjoy the island is on foot since there are a lot of stairs and slopes. Once you get to the port, your eyes will be glued to The soul of Ogi Island, which serves as the tourist information centre. 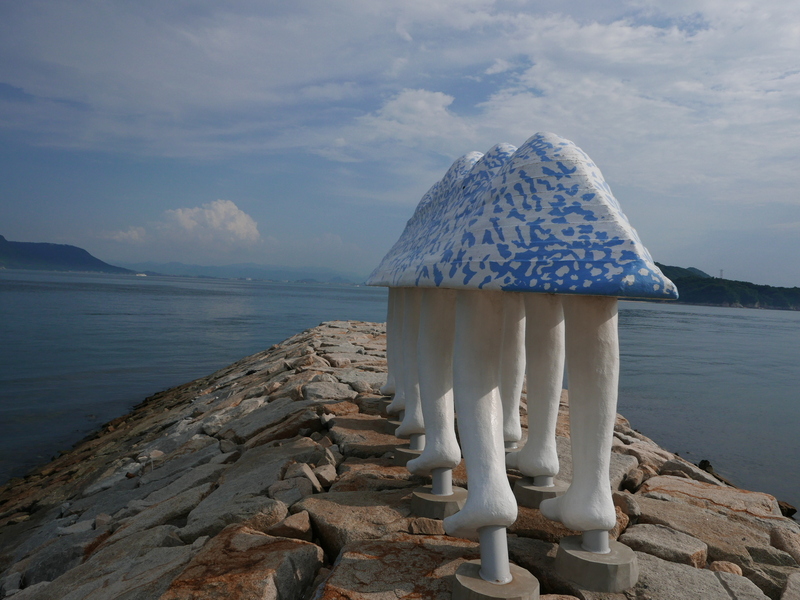 This structure by Jaume Plensa was made for the 1st Setouchi Art Festival to act as a guardian in Ogi Island. Pay attention the reflection of the roof on the water and you will see it is a mishmash of letters. Project for Wall Painting in Lane, Ogijima Wallalley is the work of Japanese artist Rikuji Makabe. Wallalley is a coined word from ‘wall’ and ‘alley’. 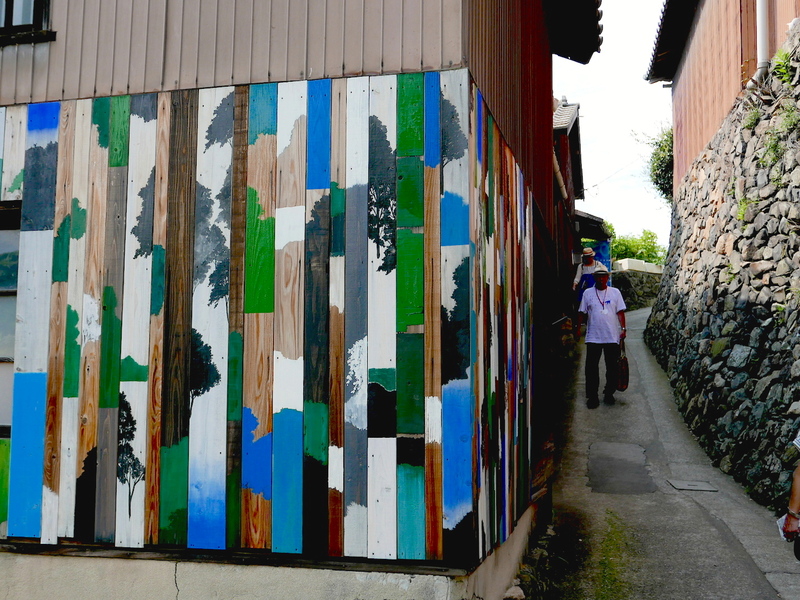 He uses bright colours on wood or ship scraps picked in the island, which are then placed on the outside walls of houses. 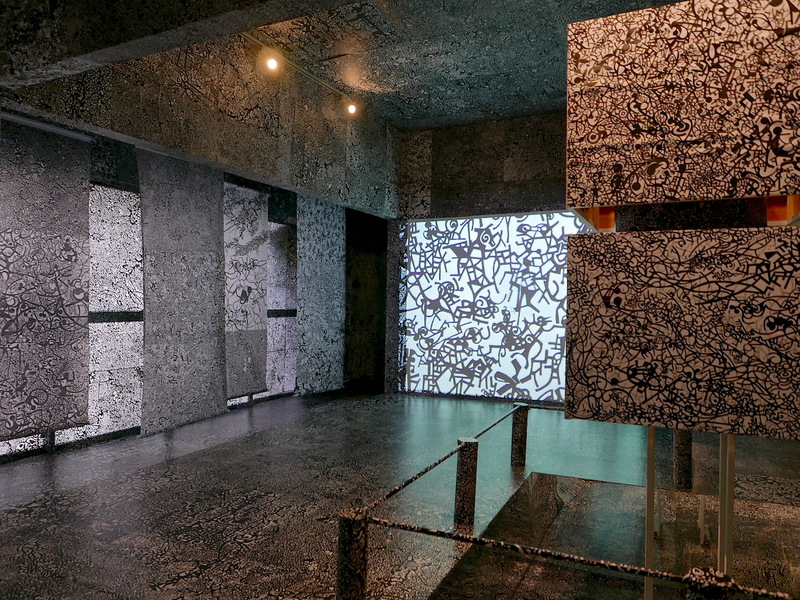 Kaleidoscope Black & White is a collaboration work between Takeru Kawashima and Dream friends. It is their 3rd project since 2010, consisting of printed photos of the artwork put on the walls, floors and ceilings of houses. If you use a digital projectors or Kaleidoscope in the entrance, the effect becomes even more spectacular. 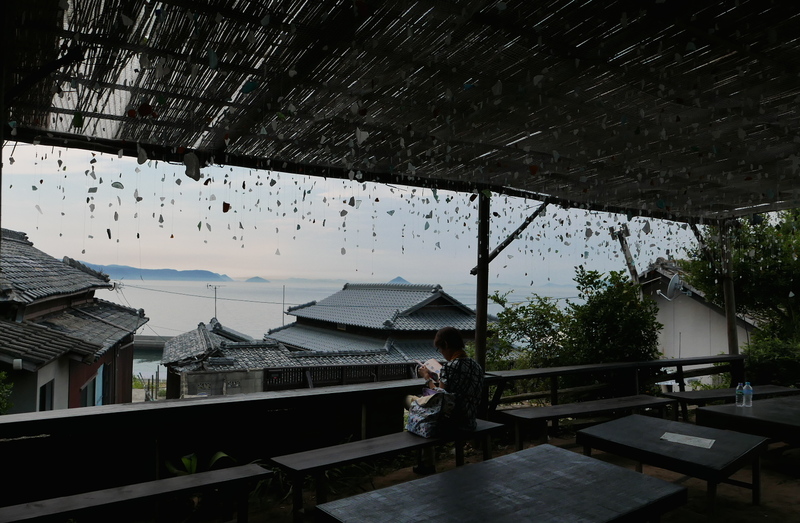 Dream Café serves snacks and drinks and has terrace seats where you can enjoy a nice sea breeze with wonderful view of the Seto Island sea. 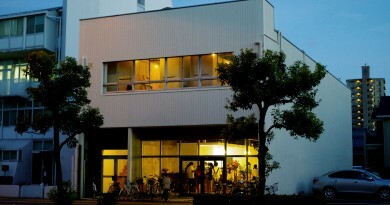 In Akinorium by Akinori Matsumoto, the grand floor of the building called ‘sound Theater-exhibition of Shadow Pictures’ is mainly made from bamboo. 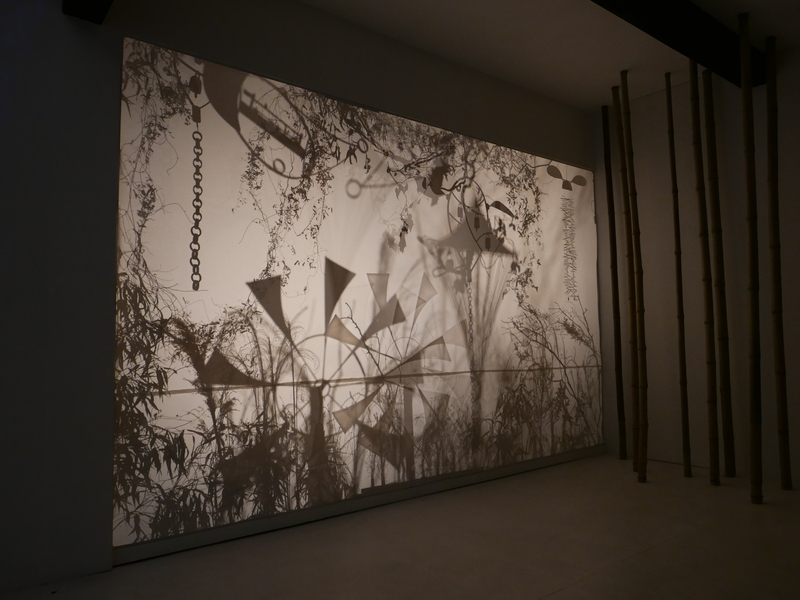 The automatic performance by sound shows elaborate shadow pictures, with more sound on display upstairs. Step inside and you will feel like a child again. 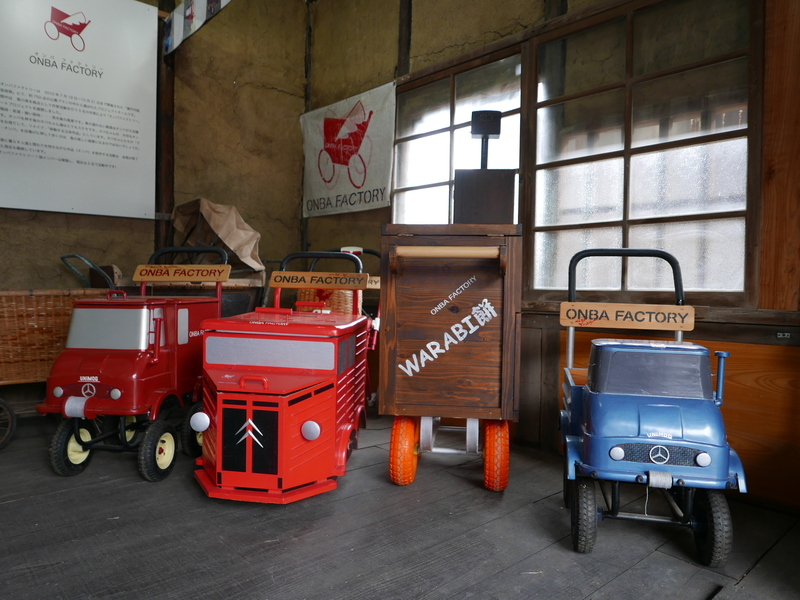 Onba Factory is one of the must-see places in Ogi island. 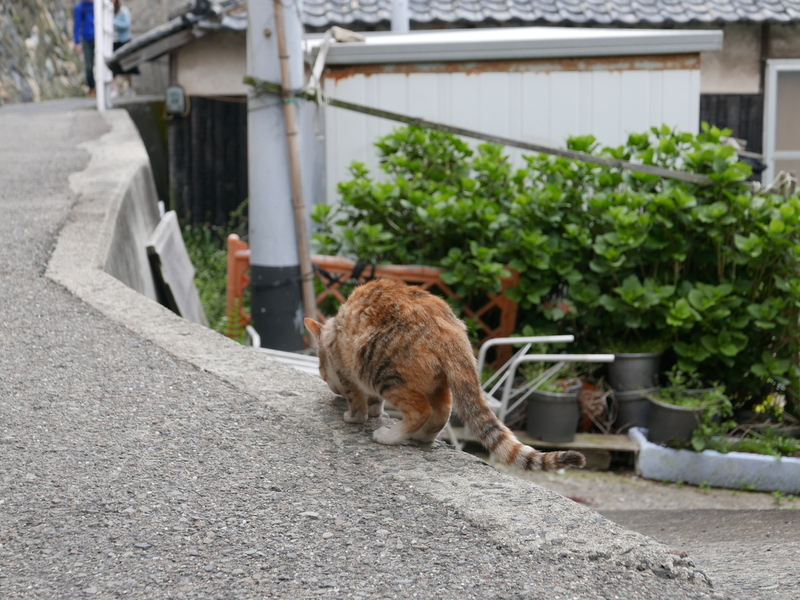 Onba means ‘push cart’ in Japanese, and it is an essential tool in everyday life on the island used to carry daily necessities on steep, narrow streets. These creations blended completely into the island life – as a matter of face, the eldery still use onba to carry things. 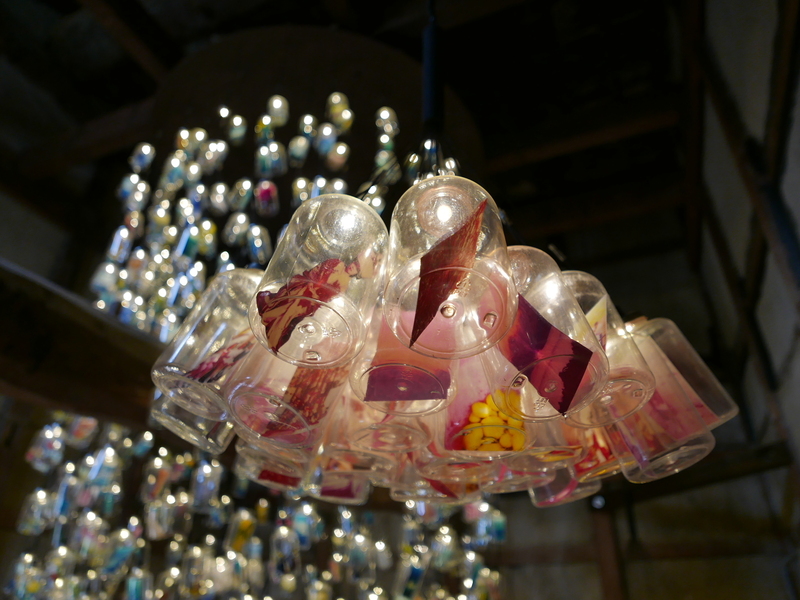 Memory Bottle by Mayumi Kuri holds the islanders’ memories, from photos and useful items, sealed in the bottle. What memory would you keep in one of these? Lacquerware is a traditional craft in Japan, but Japanese people tend to think that lacquer bowls and chopsticks are old-fashioned. Maison de Urushi was built by lacquer craftsmen in Kagawa, renovating a wooden house with traditional lacquer painted in black, white and red. 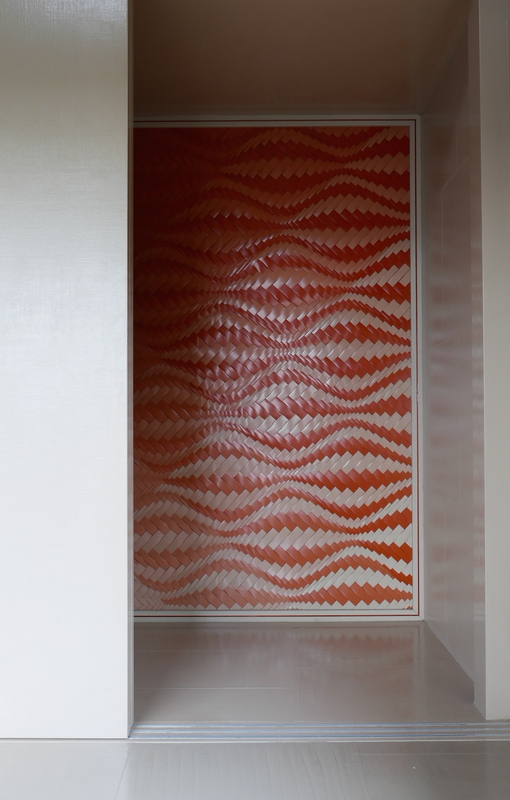 This superb fusion between living space and lacquer art makes people see the wonder of lacquer crafts. When I sat on the bench at the lacquer house, I felt like the gap between art and everyday life might not be so big not after all. Walking boat by Yamaguchi Keisuke is located a bit far away from the port, but the closer I get to it, the more excited I feel. 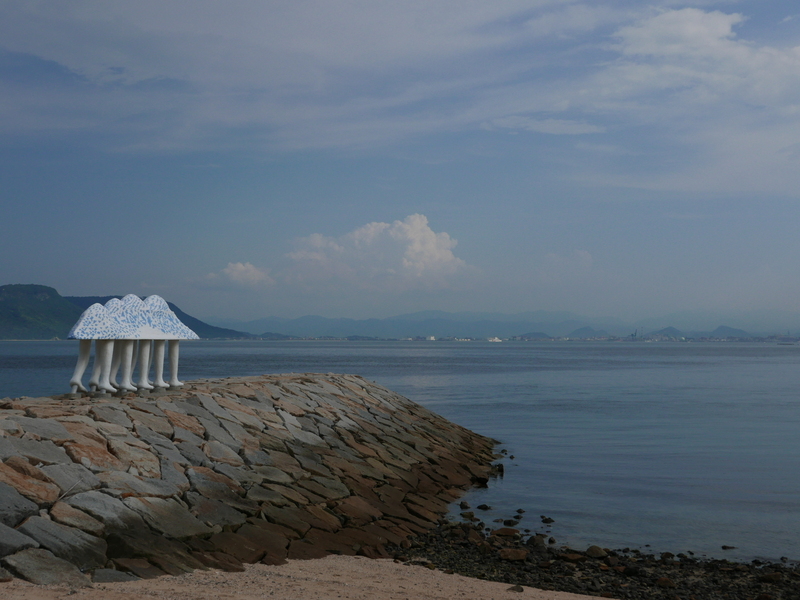 It blends in with the scenery, and you can see Takamatsu port in the distance. 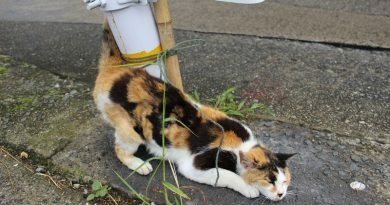 Ogi island is also known as a cat island. Some people come just come to see the cats. but, as the islanders are sure to warn you, don’t feed them. Even if you are a busy tourist, it is possible to have a look at almost all artwork within half a day. However, there are lots of other places worth a visit in the island, such as restaurants, cafés, and other artwork. If you can, try to save a day to spend in Ogi Islands and lost yourself in this heart-warming island. ACCESS：40 minutes from Takamatsu Port to Ogi Island via Megi Island by Meon ferry. One-way ticket for 510 yen. 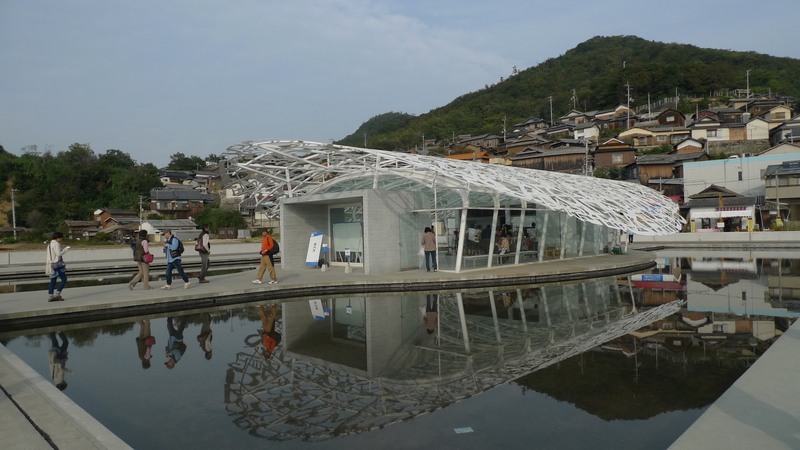 CLOSED：No closed during Setouchi art international festival, each shop has its closed day.